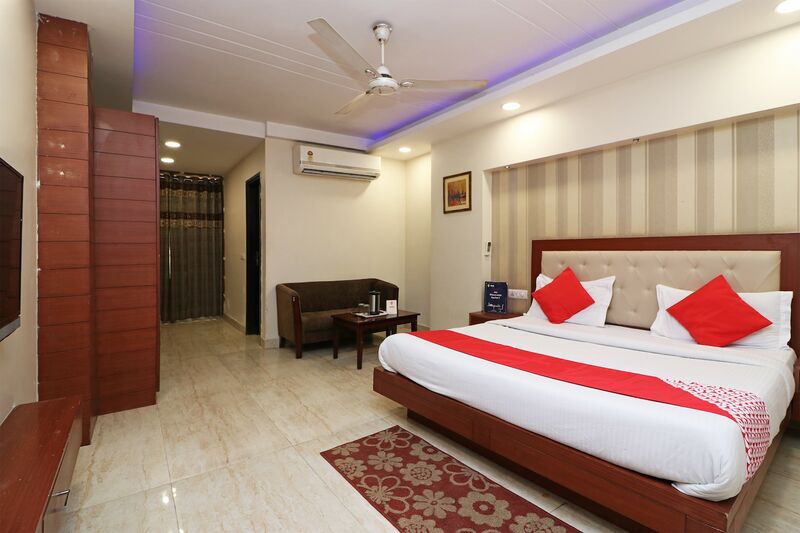 OYO 1987 is a standard budget-friendly hotel situated on the DB Gupta Road in Ratan Lal Market in Paharganj. Qadam Sharif, Chandini Chowk, Gurudwara Bangla Sahib, and Jantar Mantar are some popular landmarks near the hotel. The rooms have comfortable furniture and include amenities like TV, AC, and mini-fridge. The hotel also has a conference room and seating area where guests can relax. Few famous eateries near the hotel are VK Baggy's Chicken Corner and Kamal Restaurant. The hotel is nicely located near shopping hubs like Connaught Place, Chawri Bazaar, Chandni Chowk, and Paharganj Market.